After smearing and then failing to apologize to the kids at Covington Catholic High School, the Diocese of Covington — which oversees the school — now reportedly wants to stop them defending themselves in the media. 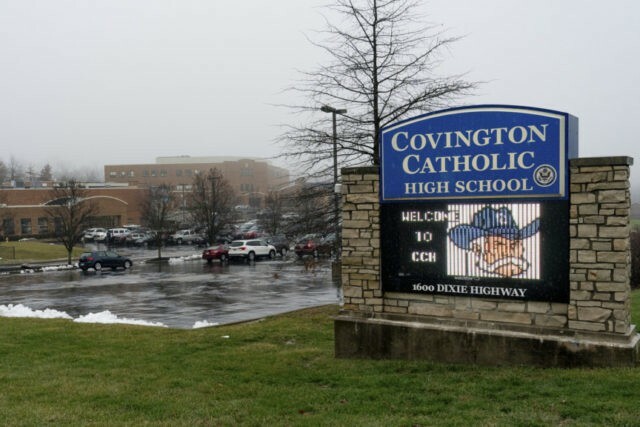 The administration of Covington Catholic high school and the Diocese of Covington’s first response to the incident was to throw the students under the bus, issuing a statement condemning their own students. Even after retractions and apologies from the mainstream media for spreading malicious slanders against the kids, the Bishop of Covington has refused to apologize for his initial condemnation of the students. In a statement yesterday, the Bishop even spoke of “corrective actions” against the students, despite their public vindication. The Diocese of Covington has yet to return a request for comment from Breitbart News.